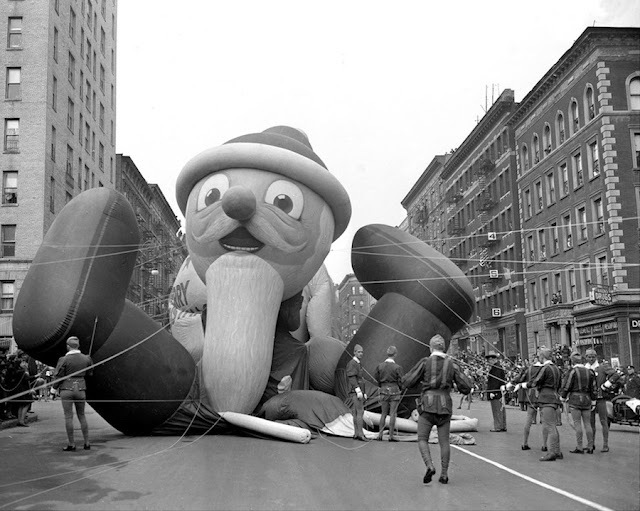 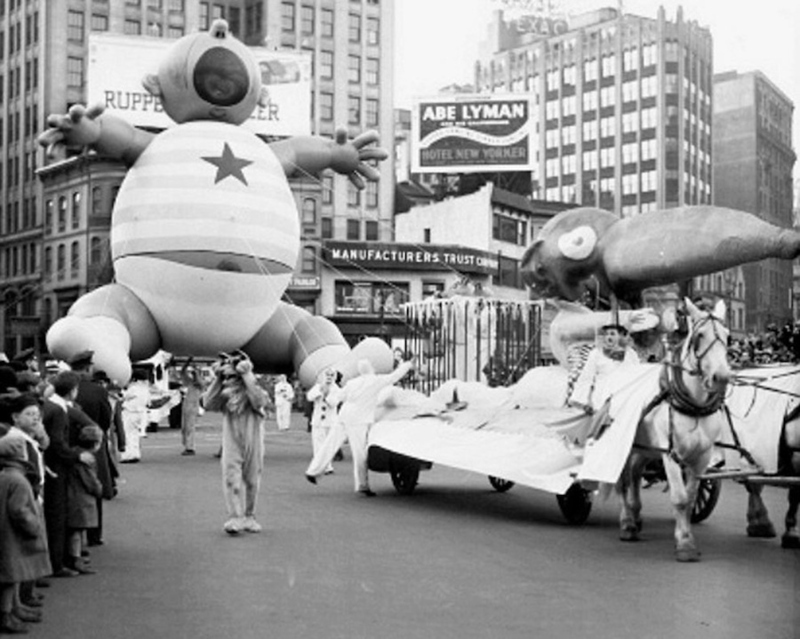 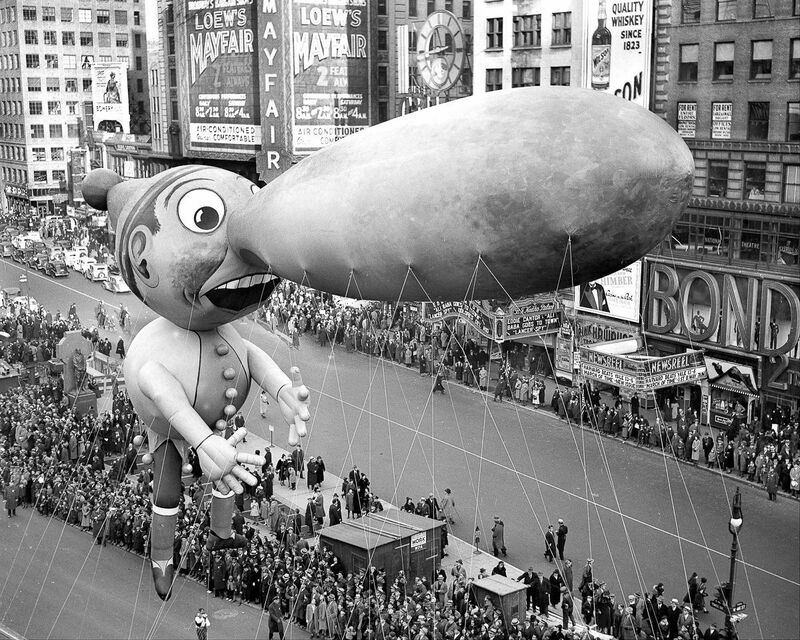 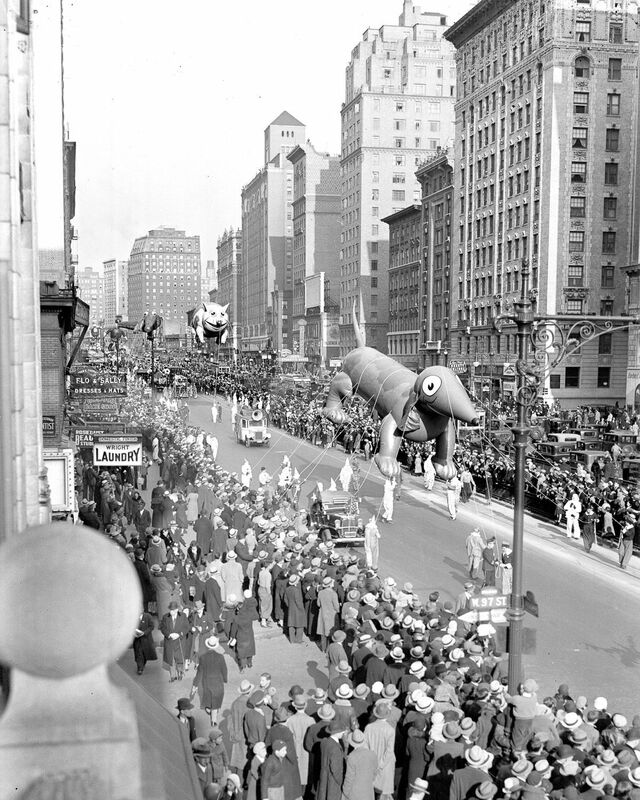 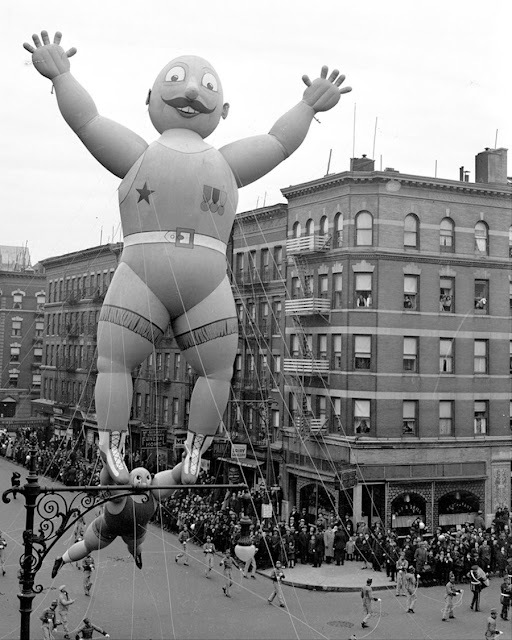 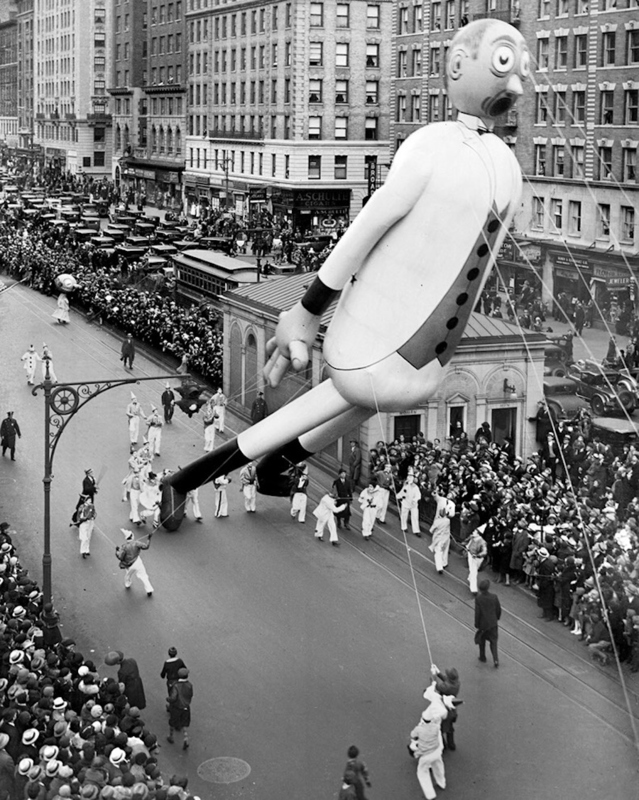 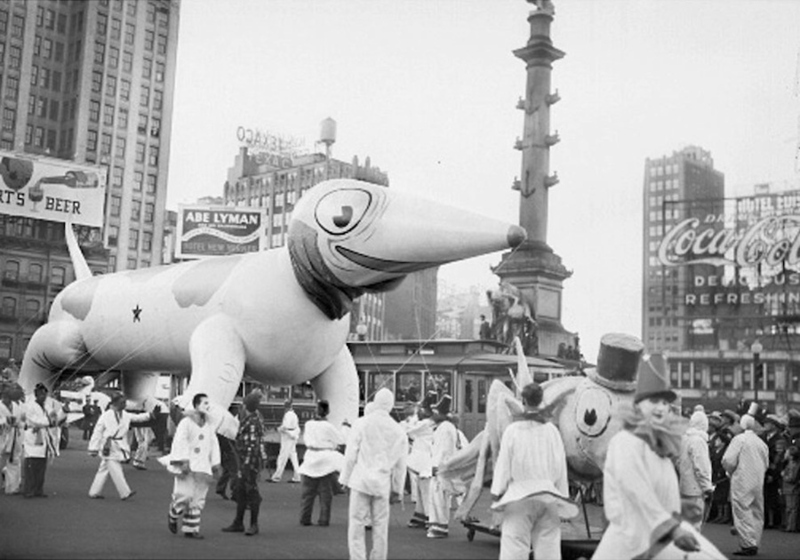 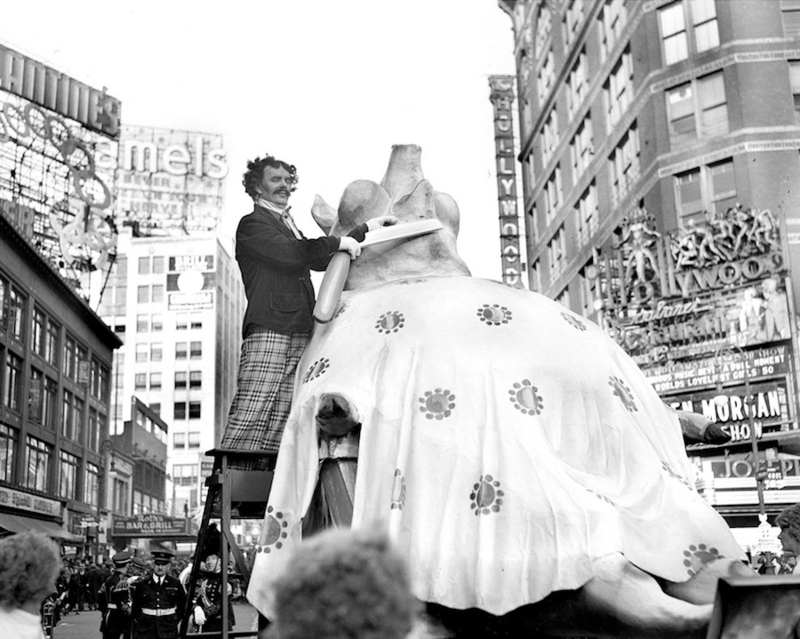 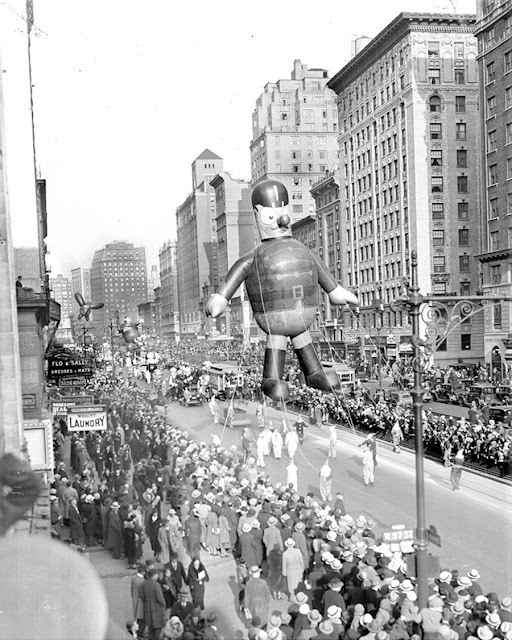 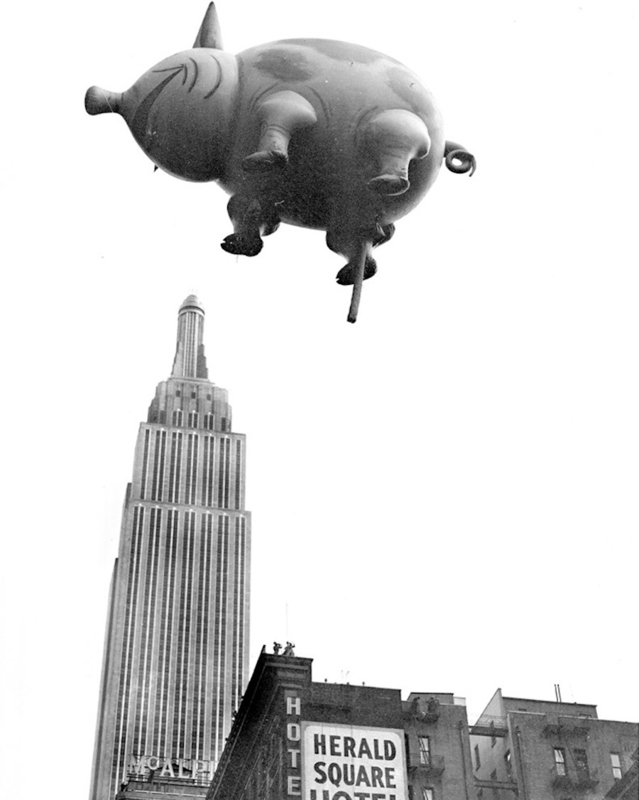 The Macy’s Day Parade has been an American tradition since 1924. 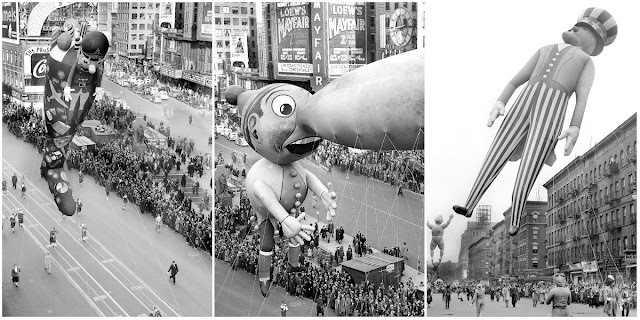 Some years balloons are cuter than others. 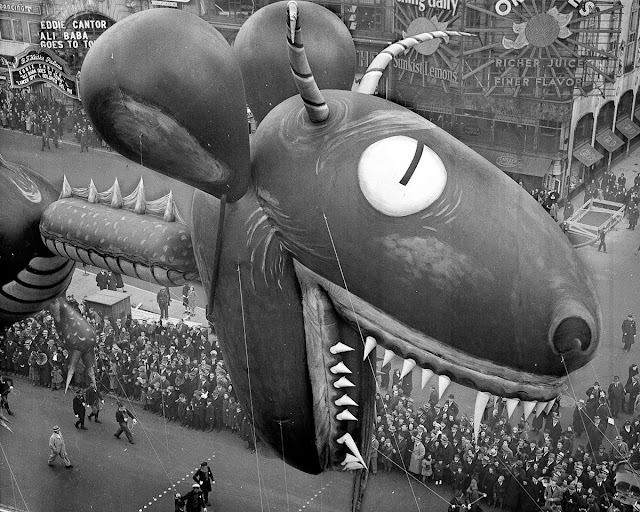 Some years, they’re downright creepy. 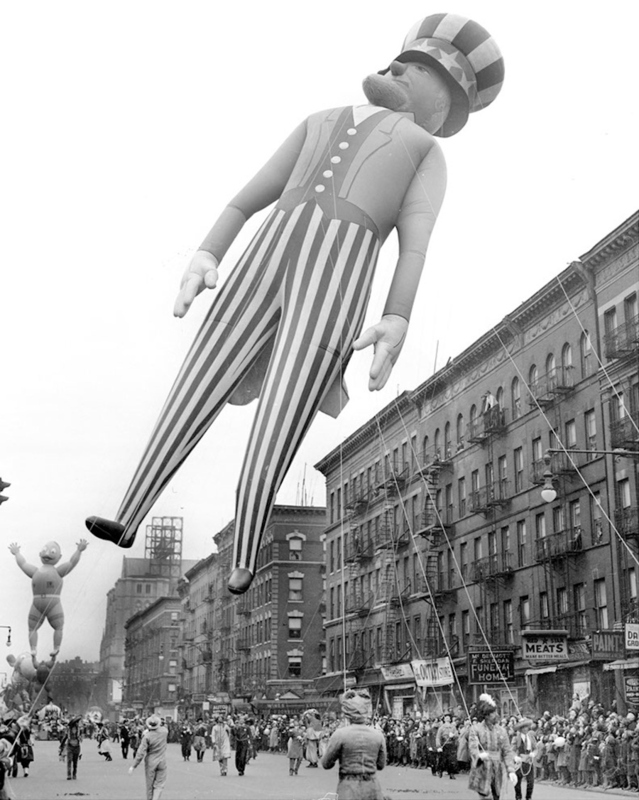 The giant floating figures crowding through the streets of Manhattan are almost as much a Thanksgiving staple as turkey and stuffing. 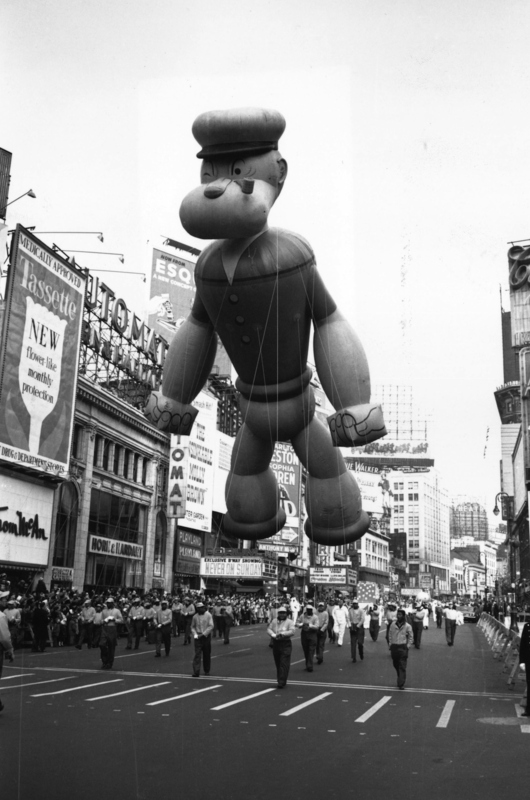 Pop-culture icons like Snoopy the dog and Mickey Mouse are literally (much) larger than life in an event that has people flocking to New York City every Turkey Day morning. 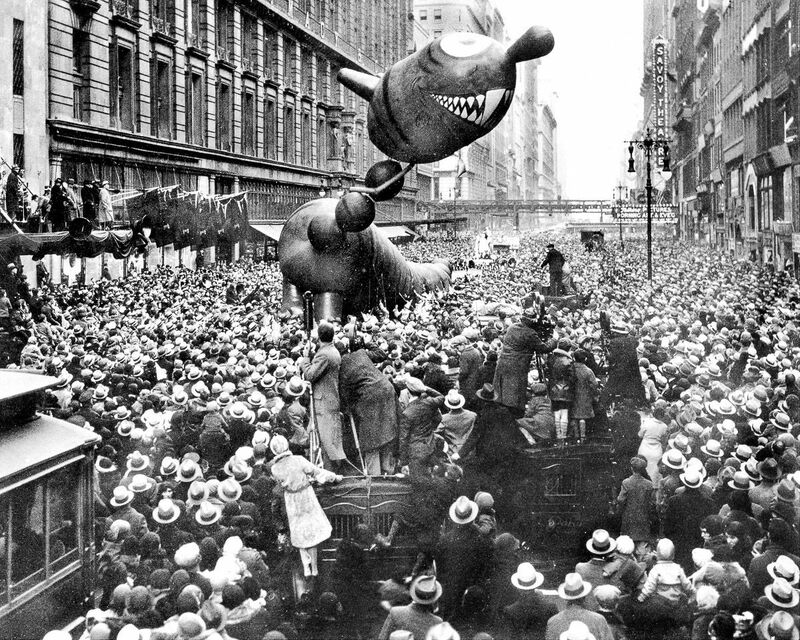 The first Thanksgiving Day parade in 1924 was much less commercial: The marchers were Macy’s employees, many of them first- or second-generation immigrants proud of their new country and eager to mix its traditions with their own ways of celebrating. 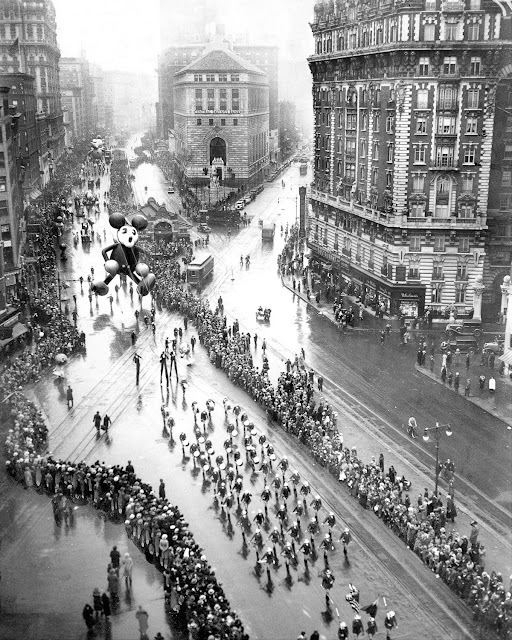 They dressed in costume and marched or drove horse-drawn carts down the street. The parade was an immediate hit, with 250,000 people crowding in to watch. Some things have changed; others haven’t. There was a Santa Claus at the very first parade, and he still appears every year. The first balloons were introduced in 1927, when Felix the Cat made his debut. 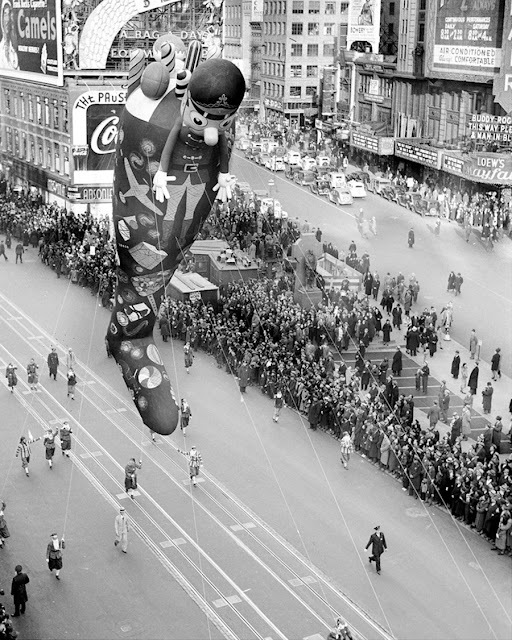 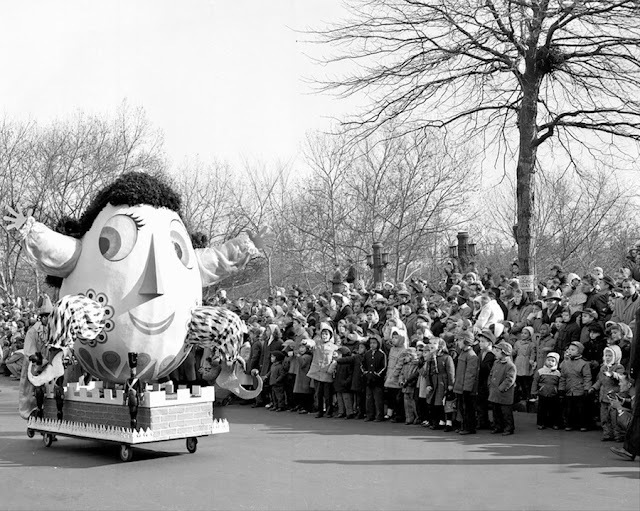 The early balloons (some of which look odd or downright creepy to our modern eyes) were released and floated for a week or so after the parade, with prizes awarded for those who recovered them. 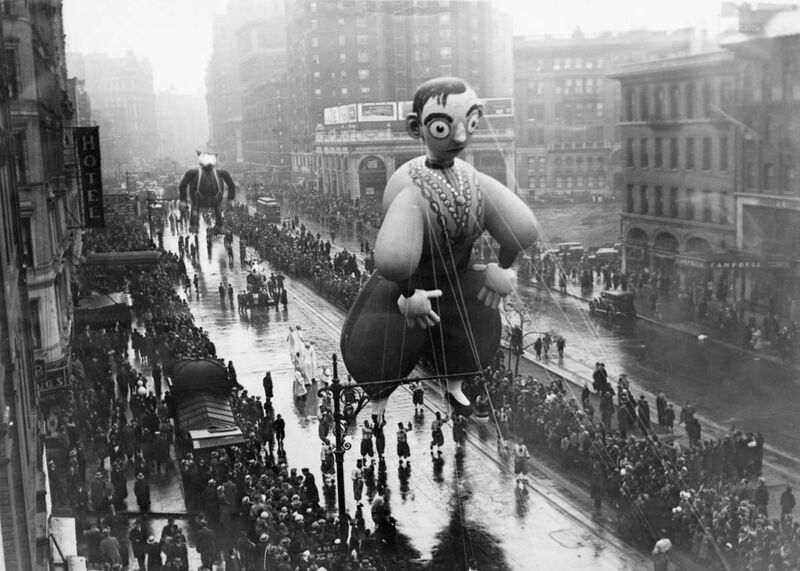 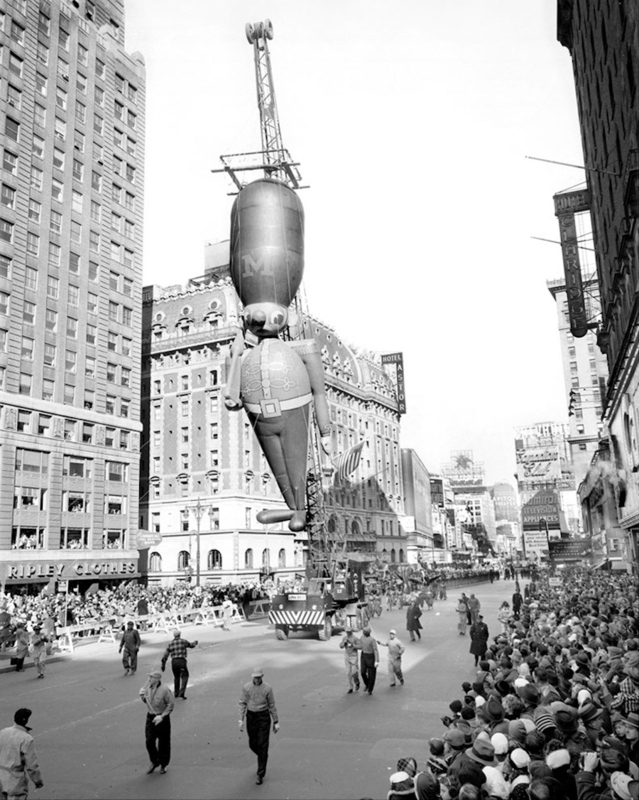 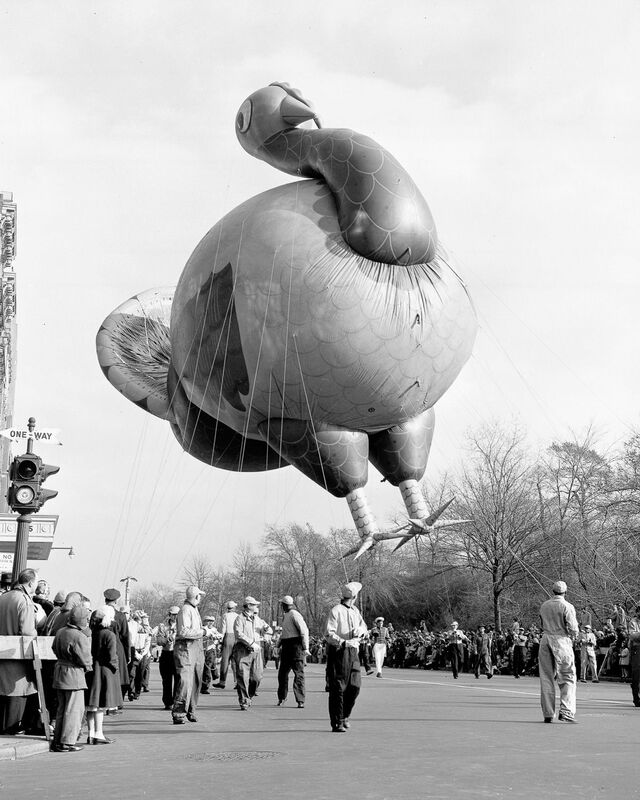 By the 1930s, the parade was attracting more than a million people to see increasingly elaborate balloons and floats. By 1948, it was televised, so all of America could see staples like the Rockettes (who have performed at the parade since 1957). Still, the parade remains a big tourist draw that officially opens New York’s busy winter holiday season.